What do these people have in common? Surely they don’t look closely related, but it turns out they share four very specific traits that are, in fact, inherited. Can you guess? It turns out they don’t have dimples, they don’t have a pointed hairline, they have attached earlobes, and they can curl their tongues. These photos are part of a fun and surprising interactive exhibit called the Trait Tree awaits visitors inside the NHMU's special exhibition, Genome: Unlocking Life's Code, open from May 20, 2016 through September 5, 2016. The traveling exhibition comes to NHMU from the Smithsonian Museum of Natural History and the National Institutes for Health's National Human Genome Research. It explains the genomic revolution that’s underway and how it will shape our lives. 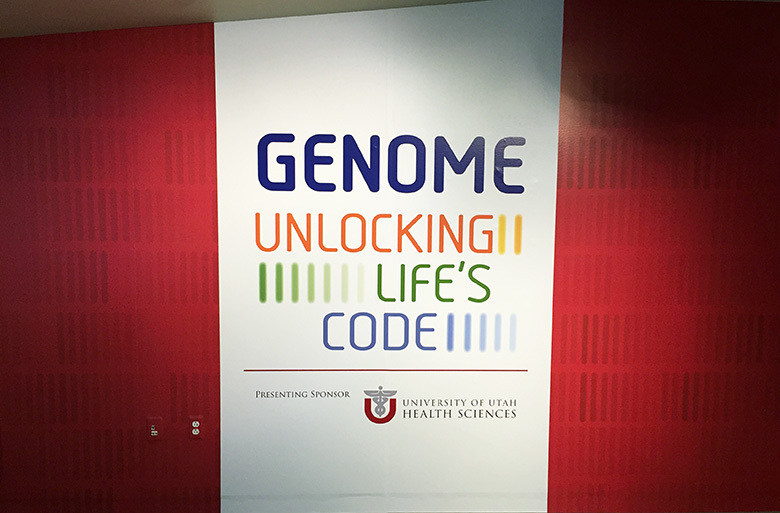 To augment the stories told in the exhibition, NHMU created a variety of interactive displays highlighting the ground-breaking genomic research happening at the University of Utah. The Trait Tree dominates a wall at one end of the special exhibition gallery, and it’s another example of how we have put our own spin on the materials on loan from the Smithsonian. Apart from being a cool illustration of combinatorics (how many possible groups will there be with four binary choices? ), the Trait Tree is an ongoing phenotype study of people here in Utah. Every organism has a genotype (our genetic sequence) and a phenotype (what it looks like, or, better put, how its genes have interacted with the environment to create a specific physical form). The Trait Tree asks four simple questions that every person can answer about themselves, and then people find that they belong in one of sixteen groups. Scientists know that there are an array of genes responsible for traits like dimples, attached earlobes, the “widow’s peak,” and tongue curling. Thus, people who land in the same groups share a common set of genes. The surprising part is that they look nothing alike. Looking at specific parts of their phenotype, they are related, but when looking at the people side by side, they seem anything but that. It’s a great lesson in how, outside of traditional ethnic and cultural groups, humans share more genes and traits than we think. Because of the logistics of this exhibit, the Smithsonian provided instructions for creating our own Trait Tree rather than providing ready-to-display materials. This gave us a great opportunity to engage our community in creating the exhibit. 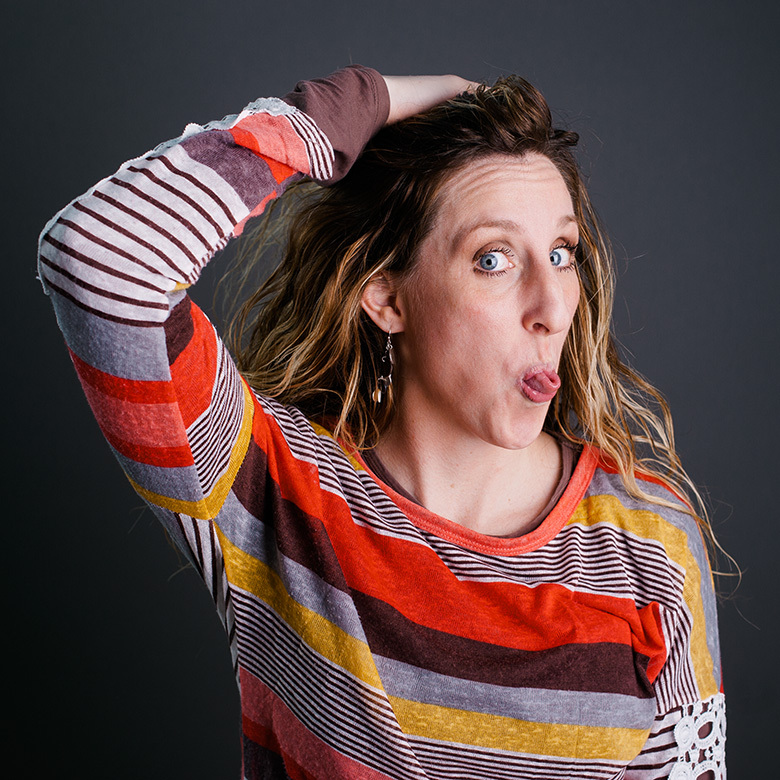 Over five sessions around the valley, we photographed 1,000 people and recorded their combination of traits. One fascinating aspect of doing this was seeing how the traits were distributed. 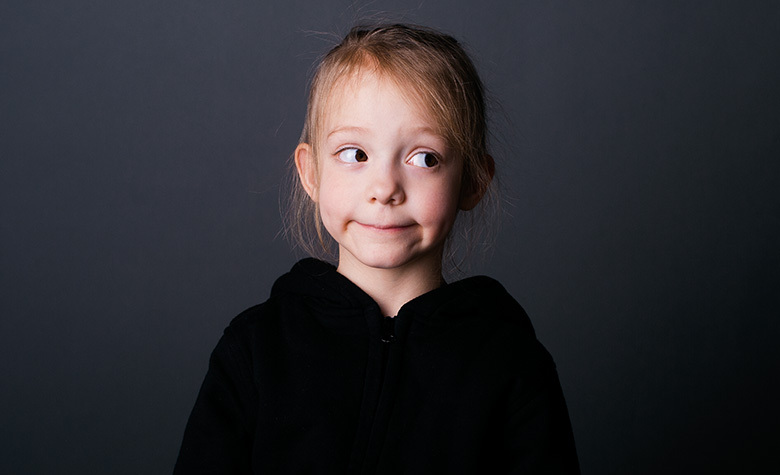 Out of our 1,000 people, only three of them fell into "Group 3" – the least common grouping of dimples, attached earlobes, pointed hairline, and no tongue curl. In contrast to this 0.3% rate of traits, 24% of people belong to the most common group, "Group 14," and have the exact opposite collection of traits: no dimples, detached earlobes, no pointed hairline, and a tongue curl. What’s particularly fun about this exhibit is not just seeing the Utah faces on the wall, but adding your own to the group. NHMU created a digital interactive to enhance the Smithsonian’s idea: you can stand in front of a widescreen display, answer the questions from the Trait Tree, and then have your picture taken. Your image is then added to the ever-growing groups, and you can see it together with the other 1,000 participants in our initial group. Thanks to our ongoing interactive exhibit, we will get to see how the rates of trait groupings may change over time as we get a larger sample size. We hope you get a chance to be a part of the exhibit and ongoing data collection – go ahead and curl your tongue for science! Michael Mozdy is a Digital Science Writer for The Natural History Museum of Utah, a part of the University of Utah in Salt Lake City. Our mission is to illuminate the natural world and the place of humans within it. In addition to housing outstanding exhibits for the public, NHMU is a research museum. Learn more.